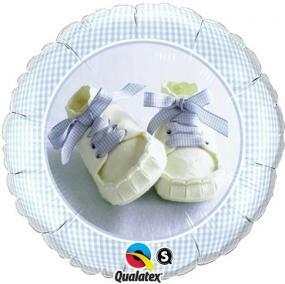 This Blue Baby Shoes foil balloon is perfect for a baby boy's Christening or Naming Day celebration. Foil balloons are easy to inflate but they do require helium. The balloon measures 18" diameter.